MacLeish Building is proud to offer new homes in several desirable planned home communities in the greater Metro Detroit area. Select from a variety of popular home plans available on spacious scenic homesites. Choose your finishes and amenities! We also work with homebuyers to personalize our home plans and incorporate your ‘must haves’ and your ‘dream list’ of interior options and amenities. We never build the same home twice! We'd love to speak with you about a new home in one of our communities. or email us and we'll contact you. Paint Creek Estates is a premier gated estate community offering two-acre wooded homesites tucked into unspoiled woodlands. Homes in this magnificent residential development showcase state-of-the-art technology, timeless design and quality craftsmanship. 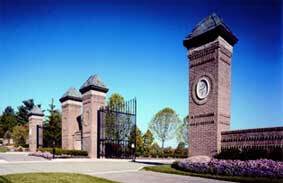 Beautiful upscale duplex condominium community located on the border of Rochester Hills and Troy. 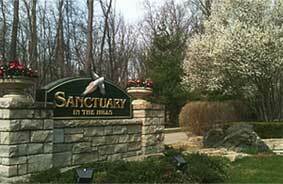 Nestled in a nature preserve, residents enjoy a serene setting just minutes from city conveniences. MacLeish Building is also available to build your custom home on your homesite. Call us at 248‑524‑3244 to discuss your custom homebuilding or design/build project.